Any fan of any sport can argue that their particular sport is the greatest on earth. Hockey fans can make the argument for hockey by watching the soft handed forwards, the solid stand up defenseman, or the lightning quick reacting goaltenders. However it is sometime the stories that happens off the ice that makes hockey so great. Earlier this season the Colorado Avalanche honored a member of the British Army that has a very unique story on how he became a fan of hockey and specifically of the Avalanche. Private First Class Andy Barnard was serving in the British Military when he met U.S. Marine Isaac Palomarez in Afghanistan in 2008. In just a week and a half the two became friends and made a pact. Palomarez, a Colorado native, introduced Barnard to hockey and to his favorite team, the Colorado Avalanche. 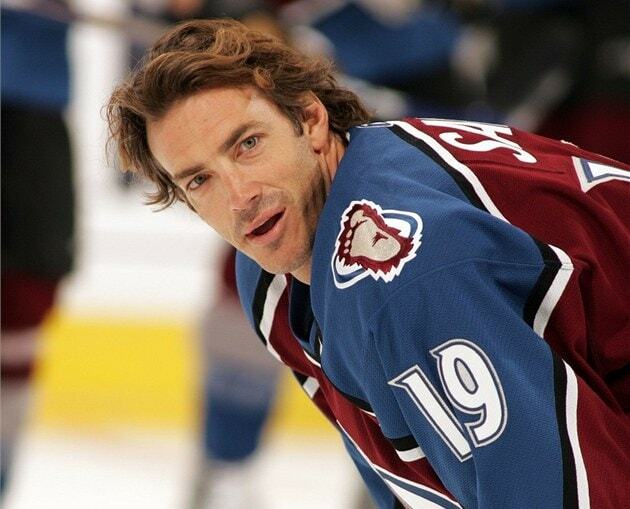 Before going there separate ways Palomarez gave Barnard his Joe Sakic jersey with the understanding he would take it back when Bernard came to Colorado to see an Avalanche game. After that Palomarez agreed to visit Scotland. Unfortunately this pact never came to be. Palomarez was killed in action by an Improvised Explosion Device (IED). Six years later Barnard fulfilled his half of the deal and made it to Denver. Before a game against the Ottawa Senators, Barnard got to meet Joe Sakic. Barnard was presented with another Sakic jersey, this one had been autographed by the man called “Super Joe”. Barnard was named the hero of the game which brought the Pepsi Center crowd to its feet. It was after this that the full story of how this hockey fan came to be began to spread. The emotional trip to the states would not end with the game that the Avalanche won 5-2. The following day, after an emotional night, Barnard met Palomarez’s family. Hugs and gifts were exchanged and then the family took Barnard to their house to show the memorial made in memory of Palomarez. To cap off his trip Barnard was able to visit Palomarez at his final resting spot in his home state of Colorado. Barnard was finally able to say goodbye to his friend. Barnard was introduced to the game of hockey by a man he knew for less then two weeks. Stories off the ice make headlines across the NHL all the time. More so than the action on the ice, it is these types of stories that make hockey the greatest sport on earth. See the full story here.